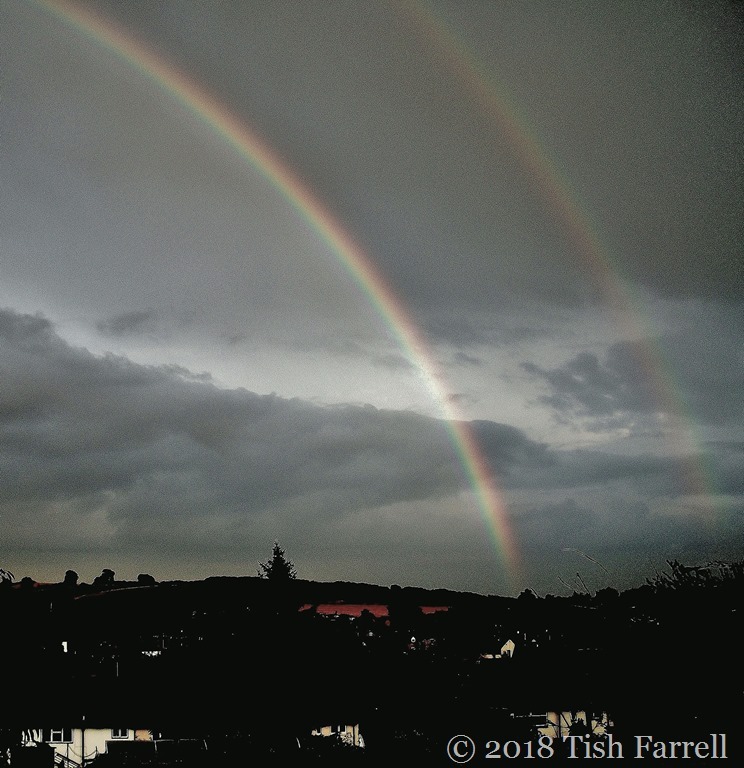 Posted on April 7, 2018 by Tish Farrell	This entry was posted in Skyscape, Weather and tagged #6WS, Much Wenlock Allotment, rainbow, Six Word Saturday, Tish Farrell Writer. Bookmark the permalink. Amazing capture of the double rainbow! Some compensation at least for all that rain! 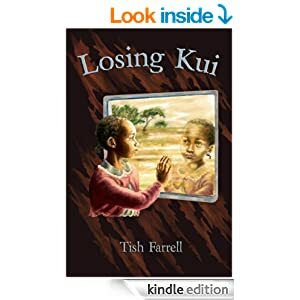 Ah, but you see, it’s alright for it to rain now, Tish. April showers! And sunshine (hopefully 🙂 ). Blossom just peeping out on the trees in the park this morning. 🙂 Lovely shot! April showers. Hmph. But yes, you’re right, Jo. They are on time. And yes the blossom is beginning to burst. Church Stretton looked v. other worldly yesterday. (Thought of you). After massive rain, all the hills were covered in pale luminous mists. Over the Edge doesn’t look too bright, but in the other direction we too have a glimmer in our grey, and NO PUDDLES. Last night coming home over the Edge there were huge lakes on the road near the quarries. V. dangerous. Oh no, Ron. Not more snow! Super to catch a double rainbow. Ours are usually behind the house and we have few windows facing that way so when we get sun and rain I have to go charging out into the lane with camera in hand! Hang in there it can’t keep on forever! Am hanging in, Gilly, but so far this morning it’s not looking too hopeful. Wish ours was rain and not snow and cold! Am sorry you’ve still got snow, Jackie. It starts wearing one down when it goes on and on. I think it’s also from a song in Twelfth Night at the end of the play. Or maybe that’s from the movie version when Ben Kingsley goes off singing having played the fool. Very dramatic 4 pots of gold!!! For some reason they often come in twos in Much Wenlock. Must be the lay of the land. Oh what a beautiful shot. Worth all the rain. Thank you, Shimon. It is still raining today though after brief respite yesterday. Am feeling a touch waterlogged.